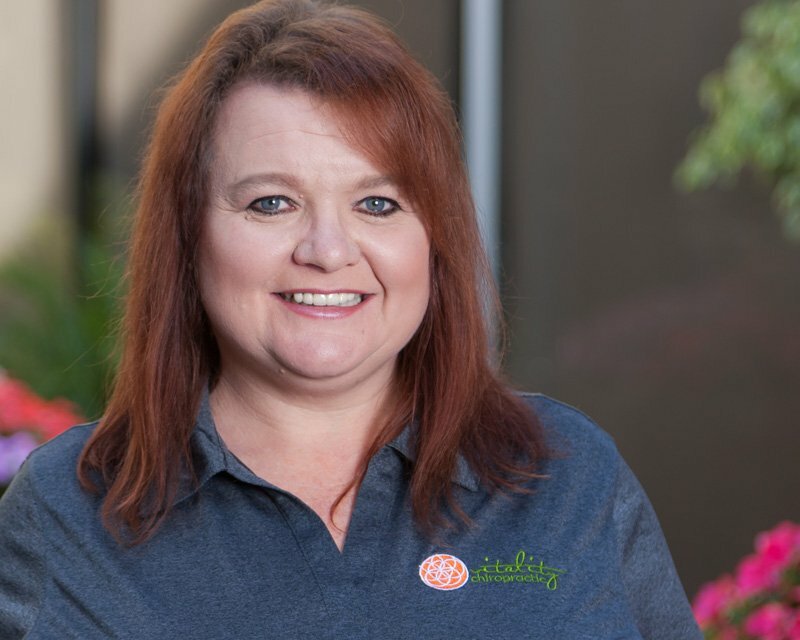 Prior to finding her life passion working in the chiropractic profession, Pam had a position as a manager for a National bank. She spent almost 10 years in that position, working her way up from a customer service representative to a manager. She realized that her health was suffering from the daily stresses of her job. One day, after having “the worst day” at work, Pam had an epiphany; she no longer wanted to sacrifice her health, happiness or her life by continuing to put that stress on her body. One of her very dear friends was always saying “Leap and the net will appear” so she leapt….and the net appeared. As scary as it was to make the decision to leave her career, it was the best decision she ever made for her health and her life. In 2014, Pam started working for another chiropractor in town and that is when she learned the true meaning of health. It is not just looking good or feeling good, it is being in a state of complete physical, mental and social well-being. That is when Pam developed her passion for chiropractic care. She is a huge advocate for the chiropractic principles and talks to everyone she knows (or doesn’t know for that matter!) about getting care and how it can help improve their lives. Pam is also a trained post-partum doula and helps new families with their needs in the first weeks after bringing home a new baby. She is a San Diego native and loves to travel. She has been married to her husband, Bobby, for 25 years and has three wonderful adult children Bobby Jr., Ian, and Savannah. She is also a huge pet lover and has three poodle-mix rescue dogs that she adores.